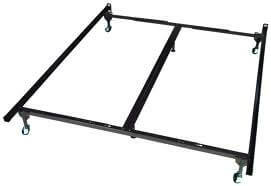 The best bed frame for the buck is Glideaways 34RR steel bed frame Queen size can be used with a headboard only that bolts up or no headboard at all. Without a headboard the 34 RR frame is able to free stand on its own and support your current mattress and boxspring set. 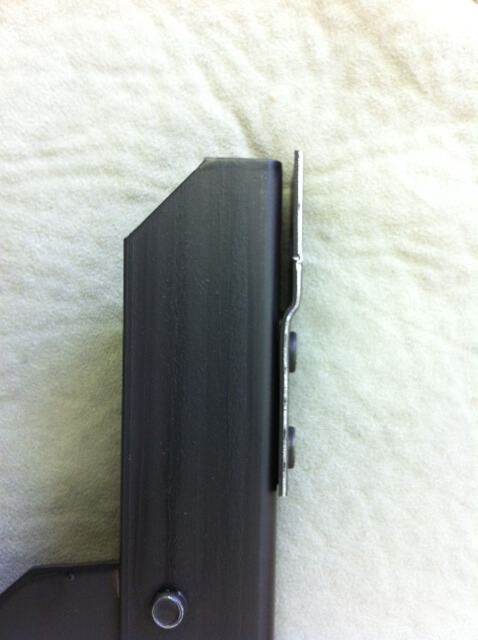 It is so versatile it can also be used to support a twin or full size mattress set. 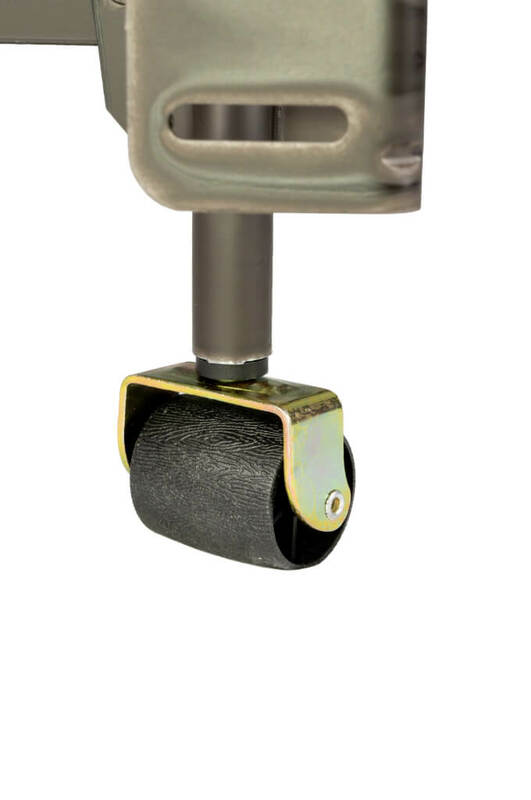 Not only is it easy to assemble but it is easy to move thanks to heavy duty extra wide wheels. Strong, sturdy, low cost and it’s Made in the USA! Learn more below on this page. 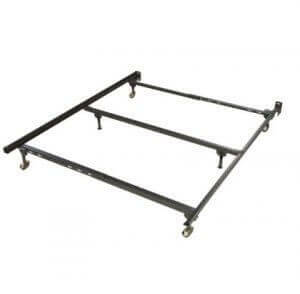 In need of a replacement bed frame for your current bed? 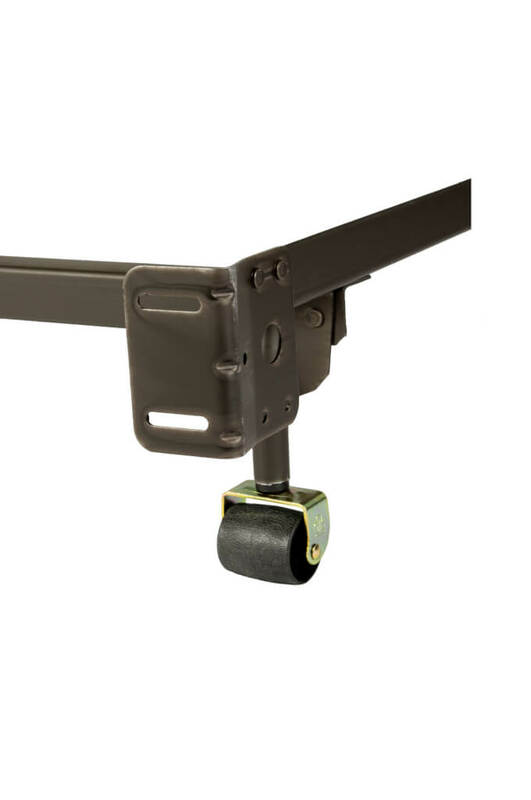 Check out Glideaway’s 34RR heavy duty steel bed frame with bolt up headboard brackets. Attach it or let it free stand with your current mattress set, either way like all of our frames it is simple to assemble. 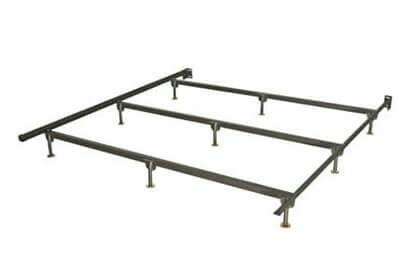 This queen size bed frame has angle iron steel cross support with two legs to provide maximum rigid center support for your mattress set and it complies with all manufacturers warranties. The frames great design distributes weight evenly over 6 legs with mobile carpet rollers and protects box spring and mattress from sagging. 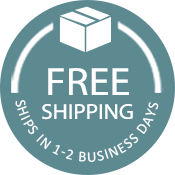 The frame is fully adjustable and could be used underneath of a twin or full size mattress set with minor easy adjustments that only take minutes. Need a lower bed? 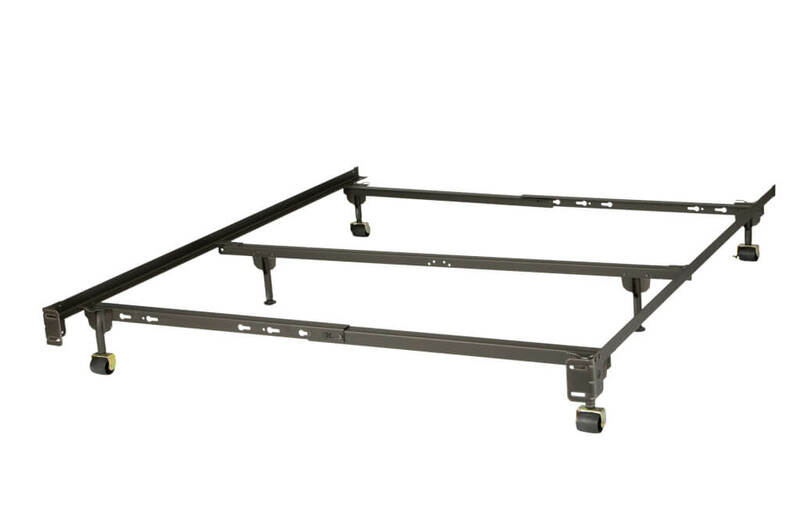 Take a peek at the LB34 Queen Bed Frame.